It was the epic barrel that left us all salivating. Wellington defender Louis Fenton’s A-League season is over after undergoing foot surgery on Monday. Canterbury may have kickstarted their season – and kept the wolves at the door – with a pressure-relieving victory of Wests Tigers. Do you recognise these baby-faced brothers, who became NRL stars? Do you recognise these two cheeky chappies? At one stage they appeared to want to rip each other’s heads off, but Test hookers Akker van der Merwe and Schalk Brits have seemingly kissed and made up. AFL 2019: What next for pre-season premiership favourites Richmond? Before the season had even begun there were many jumping on the ‘Tiger train’, suggesting Richmond would claim their second premiership in three years. Adam Taggart scored a brace in Korea, Mile Jedinak is heading for the exit at Villa Park and Aaron Mooy’s men had their fate sealed. Newcastle coach Nathan Brown has pulled the pin on Kalyn Ponga’s five-eighth experiment — moving the mercurial star back to fullback. Roger Federer has put the heat on tennis powerbrokers to provide clarity about what the future holds after a tumultuous week that saw ATP President Chris Kermode ousted. West Coast don’t look anything like a team suffering a premiership hangover. Melbourne Rebels' star recruit showed the way forward for Australian rugby. And it wasn't Quade Cooper. Over the first month of Super Rugby Quade Cooper has grabbed the headlines. Cooper Cronk is edging closer to making a call on his future beyond this season, with the champion halfback giving himself a firm deadline to come to a decision. Cooper Cronk will play his 350th NRL game in the Roosters’ blockbuster season opener against the Rabbitohs at the SCG on Friday night. Photo - United's true 'target': Big top four blow exposes Ole's $461 million gap. United's true 'target': Big top four blow exposes Ole's $461 million gap. 3000 square metres of turf have had to be relaid at the famous ground after it was ripped apart in Saturday’s Super Rugby match between NSW Waratahs and Queensland Reds. Get off the grass! Will the SCG be ready for Roosters vs Souths on Sunday? The NRL is confident the SCG’s surface won’t prove an issue for Friday’s round- one blockbuster between Sydney Roosters and South Sydney, with immediate replacement work beginning on the turf. The year is 1989. Short shorts are all the rage in rugby league, cigarettes are legal sponsors and most players sport moustaches that make them look like Magnum, P.I. But the game was about to change forever. 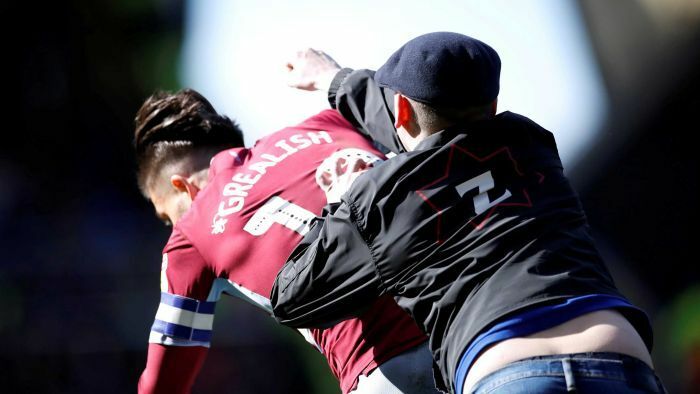 "I don't think there's any place for that": A Birmingham City supporter punched the Aston Villa captain Jack Grealish in the derby, one of three separate incidents of fan-related trouble in the UK this weekend. Three separate incidents of fans invading the pitch and engaging with players have marred the weekend of football across England and Scotland. Take a freaking bow, Derrick Jones Jr. The NRL season is just days away and the selection dilemmas keep coming. Melbourne forward Joe Stimson is in doubt for the Storm’s NRL season opener against Brisbane with a lower-back injury. Convicted footballer Adam Johnson’s partner has told of her devastation and disgust at the jailed former England star and revealed he lied to her for a year about sexually assaulting a 15-year-old girl. 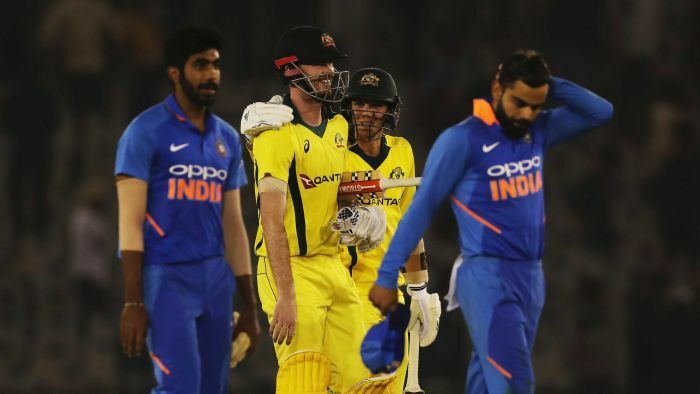 India skipper Virat Kohli was left in disbelief after Australia’s fourth ODI hero, Ashton Turner, survived a third-umpire review under controversial circumstances and went on to claim a series-levelling win. Let's face it, Australia has been ordinary in ODI cricket for a while now. But the men in green and gold are getting their act together at the right time, and rivals are taking note. Brisbane’s opening-round nightmare road-trip destination of Melbourne will be compounded by the toughest opening month to the season of any team in 2019. Formula 1 is renowned for its glitz, glamour and money. The days of Usain Bolt's ill-fated trial with the team seem a lifetime ago, but are we still seeing the effects? The Central Coast Mariners have won one game from 21 starts and sacked their coach. The days of Usain Bolt's ill-fated trial with the team seem a lifetime ago, but are we still seeing the effects? Australia has smashed its record ODI run-chase thanks to a heroic century from Peter Handscomb to beat India and level the series. Australia squares the ODI series against India with one match to play thanks to Peter Handscomb's heroic century as the Aussies chased a record total of 359. 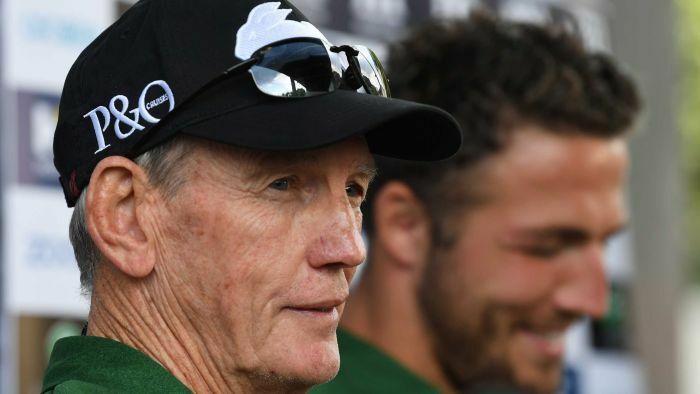 Wayne Bennett has become like the dot on the crossbar — if not quite taken for granted, then so familiar he only consciously registers when something extraordinary happens. Disgusting scenes in England overnight. Aston Villa midfielder Jack Grealish was punched by a pitch-invading Birmingham fan in a shocking incident during Sunday’s Championship clash between the bitter rivals. Quite a few clubs wouldn't have been happy seeing the state of the SCG this weekend. Officials are promising to restore order amid fears the shredded SCG surface won’t cope with a glut of football games scheduled for the venue, including Friday night’s Sydney Roosters-South Sydney NRL blockbuster. Local rivals Fremantle and West Coast face off in a pre-season Western Derby - the first since the spiteful Andrew Gaff-Andrew Brayshaw incident. Is Warney on the money with this pick? Having enjoyed the form of his life in the years that followed a 12-month ban of his own, Shane Warne is backing David Warner to make an instant impact for Australia at the World Cup. Huge question marks linger over FC Barcelona's record signing. Barcelona’s march to the La Liga title continued overnight with a 3-1 win over relegation-threatened Rayo Vallecano, but question marks continue to linger over record signing Philippe Coutinho. With just 25 minutes to play Newcastle United were all but buried in the Premier League overnight. But it's never over until the siren sounds. Despite his century in the third one-day international against India, Usman Khawaja is no guarantee to feature in Australia’s 15-man World Cup squad let alone it’s first XI, according to Mark Taylor. Last time they were together on a footy field, one broke the other's jaw. This time, they ended a dark chapter in Western Derby history. A shake of the hands, and the end of a dark chapter. As the Lakers' season sputters to a disappointing conclusion, Kyrie Irving had some kind words for his former teammate. The rivalry between the Los Angeles Lakers and Boston Celtics had the potential to be revived, this season, but it seems as though we’ll have to wait for that. The four best teams won't feature in the AFLW finals, thanks to the conference system. Jose Mourinho could be installed as Real Madrid’s new £17million-a-year (A$31.41m-a-year) manager as soon as Monday. What's your favourite cricket format? 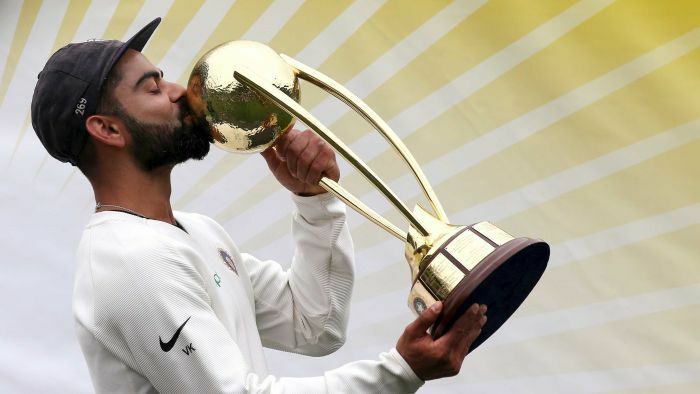 Eighty-six per cent of the 13,000-plus respondents to an MCC survey list Test cricket as their preferred format. Antonio Brown has finally found a new home. The Antonio Brown trade saga may finally be over. 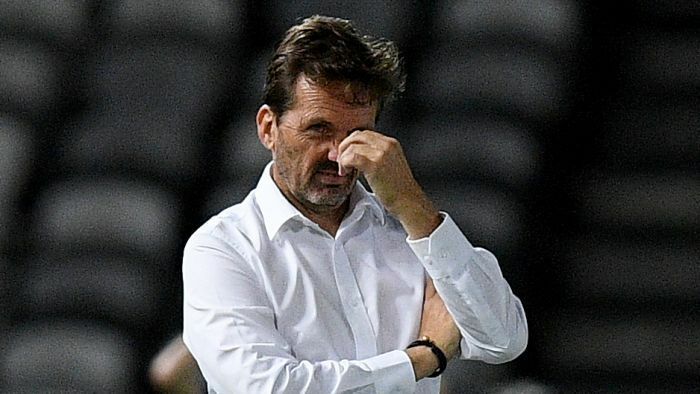 Former Mariner Adam Kwasnik has delivered a scathing critique of the Central Coast owner on ABC Grandstand after coach Mike Mulvey was sacked. What do you think? A huge report has emerged from the UK surrounding Qatar and the 2022 World Cup. Sensational reports suggest that Qatar may have offered FIFA hundreds of millions of dollars, to allow them to host the 2022 World Cup. Former NBA star Al Harrington made over $AUD100 million during his 16-year basketball career but that sum may be small potatoes compared to his next endeavour. James Segeyaro re-joined the Cronulla Sharks just 12 days ago. He's now about to be cut from the club. James Segeyaro is set to be the man to be cut from Cronulla’s roster to be salary cap compliant in time to play round one. It was a lot further down than he realised! 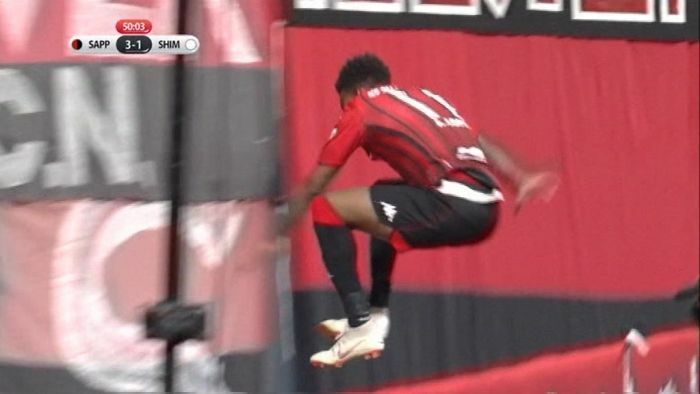 Brazilian forward Anderson Lopes will want to check his surroundings a little better next time he celebrates a goal, after plummeting 3 metres onto a concrete floor when he misjudged a leap over an advertising hoarding. If the Los Angeles Lakers' season wasn’t already at a point of no return, it is now. If the Los Angeles Lakers’ season wasn’t already at a point of no return, it is now. This got pretty fiery and Paul Gallen wasn't taking a backwards step. When goal celebrations go wrong. Consadole Sapporo forward Anderson Lopes incredibly misjudged a huge gap in the stadium after he jumped over a barrier to celebrate with fans. The controversial new policy Jack de Belin is suing the NRL over is set to be in place in a matter of days. The Dragons are demanding the NRL foot the bill for Jack de Belin’s replacement if his legal bid to overturn the game’s ‘no-fault’ standown is granted. Nick Kyrgios has been brought back down to earth just one week after winning his fifth ATP title. Australia’s two highest ranked players, Alex de Minaur and Nick Kyrgios, have been knocked out in the second round of the ATP Masters 1000 event at Indian Wells.